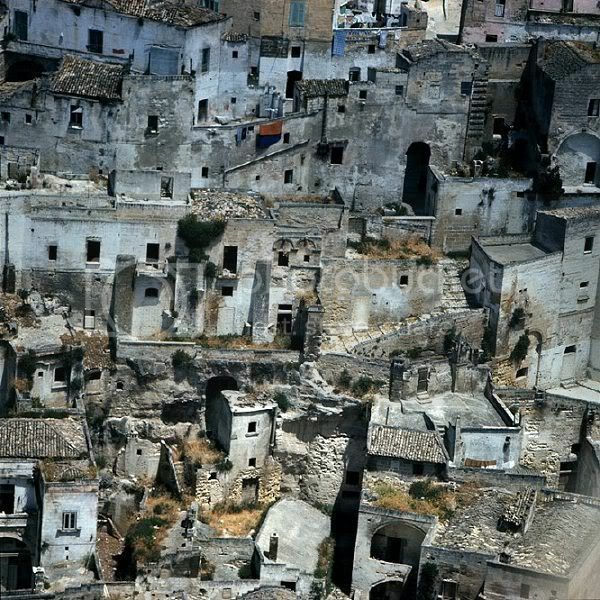 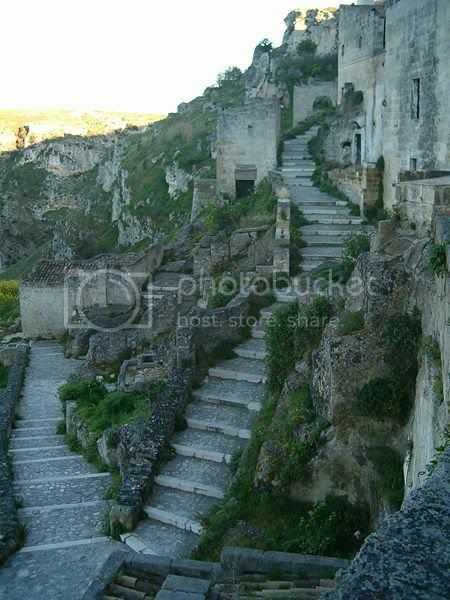 This awesome place in the town of Matera in the region of Basilicata, Italy, is carved out from the soft tuff rock mountain (sassi = rocks). 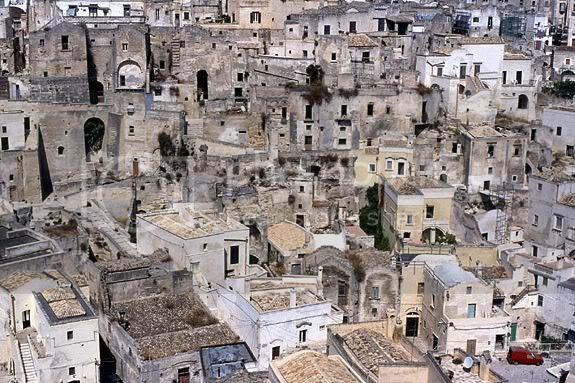 In 1952 the inhabitants were forcefully relocated by the government due to breakdown of the dwellings' complicated ecosystems and lack of sanitary systems, but that's changing now that they have entered Unesco's World Heritage list (1993). 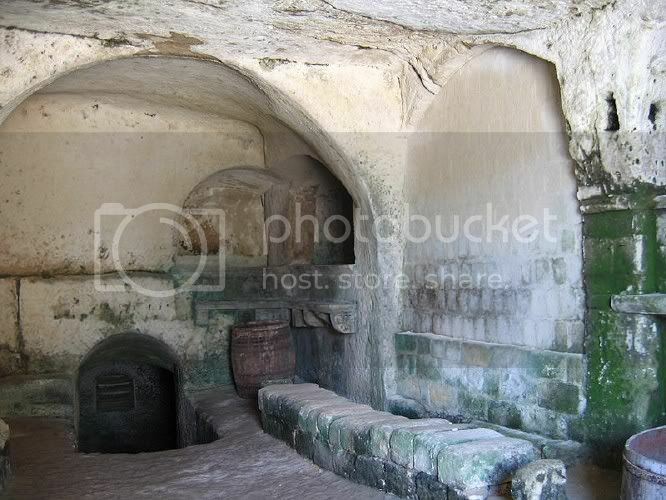 One of the main reasons for the inclusion on the list is the enormous rainwater collection system, another reason is of course the age - the oldest inhabited parts date from the Palaeolithic period, and are thought to be among the first human settlements on the entire peninsula. 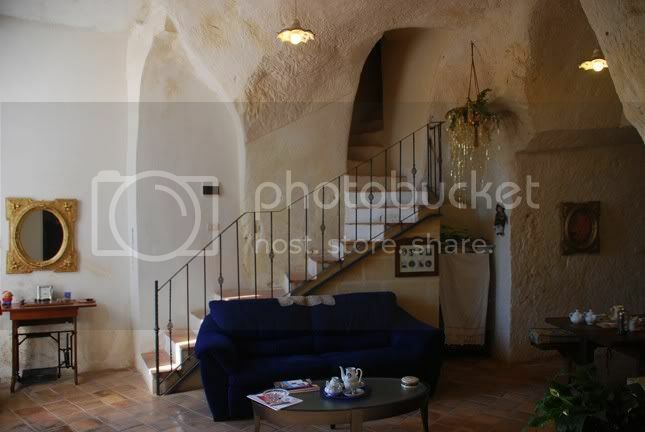 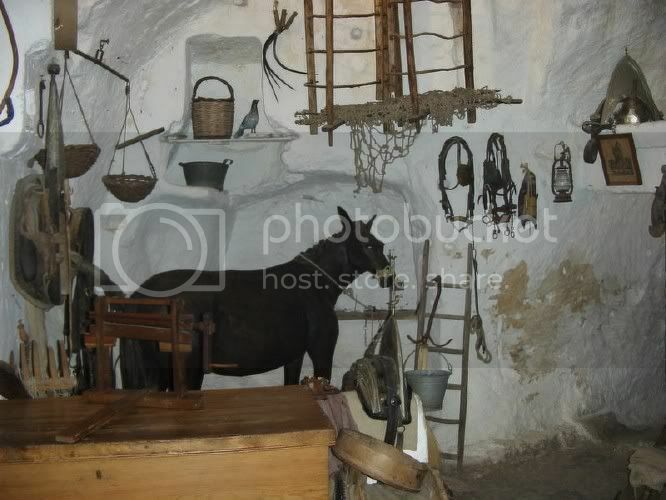 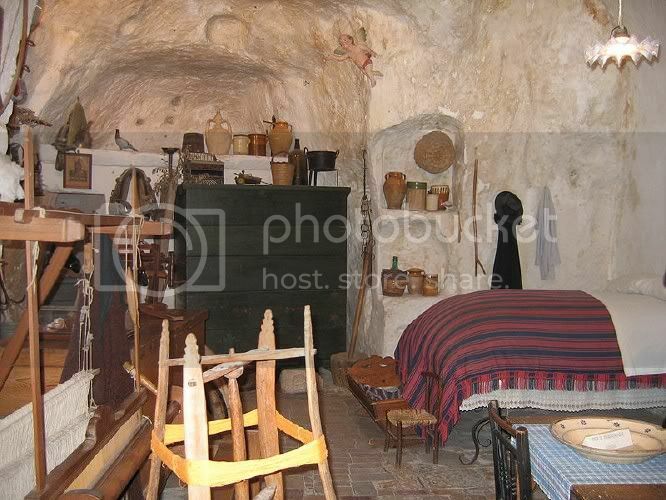 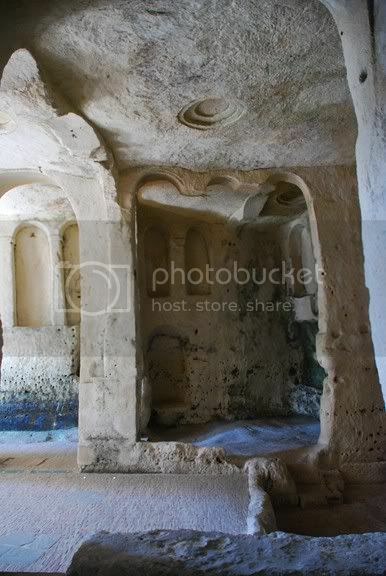 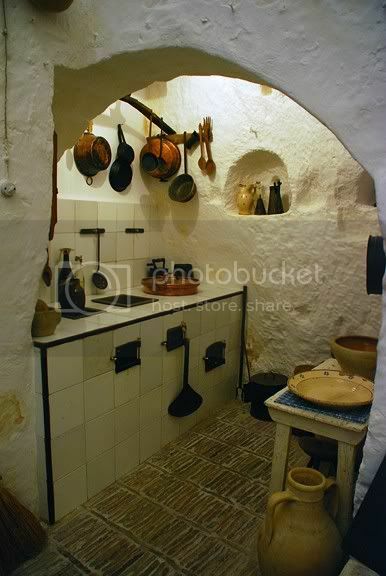 Several caves have been carefully restored, parts as museum, but most as proper homes, or as holiday homes, small businesses, hotels, and B&Bs. 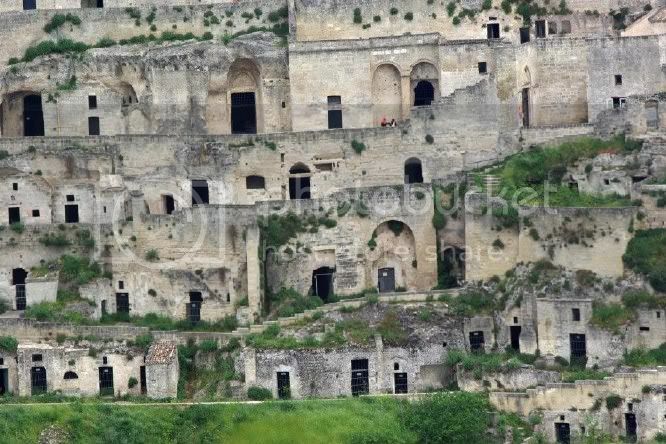 It reminds me a lot of Cappadocia.